The Kremlin in Kazan is framed by a church on one side and a mosque on the other. 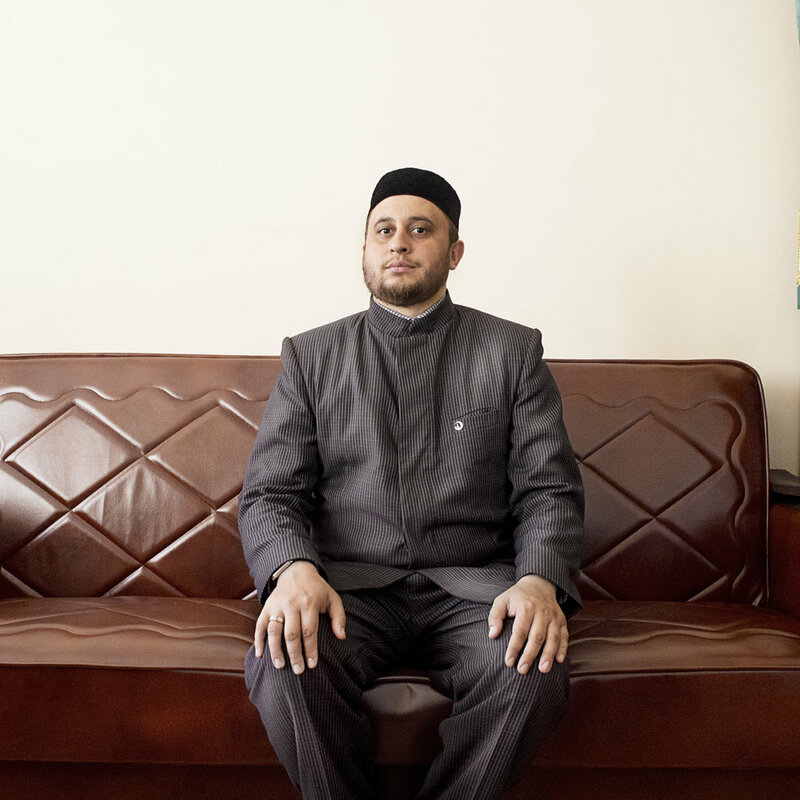 The equal treatment of the religions has high priority in Tatarstan. There are 60 churches and 60 mosques in Kazan. "We are fed tolerance with our mother’s breast milk. We respect our ancestors, who have been living in peaceful harmony for the last 1000 years. The equal treatment of the religions is very important to us. That's why we have 60 churches and 60 mosques in Kazan." The opening ceremony of a halal slaughterhouse in Sokurji village. It's the first of its kind in the region. In Tatarstan it is tradition to invite representatives of all local faith groups to official events. Father Fjodor regularly attends and speaks at events like this. 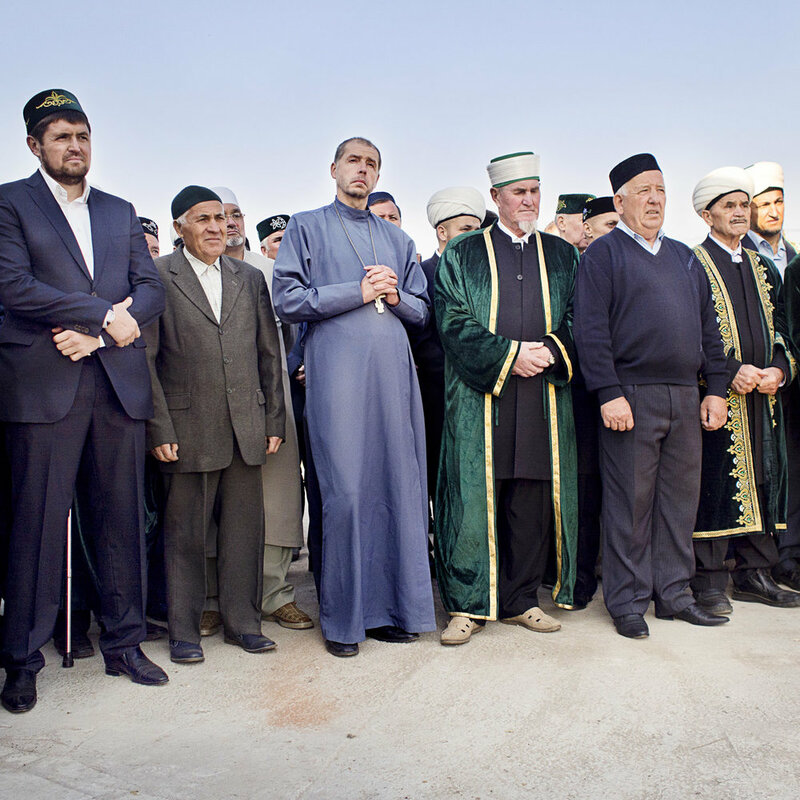 Orthdox Christian priest father Feodor (right) with a Muslim clergy at a school fete celebrating the Muslim sacrificial festival Kurban Bayram. 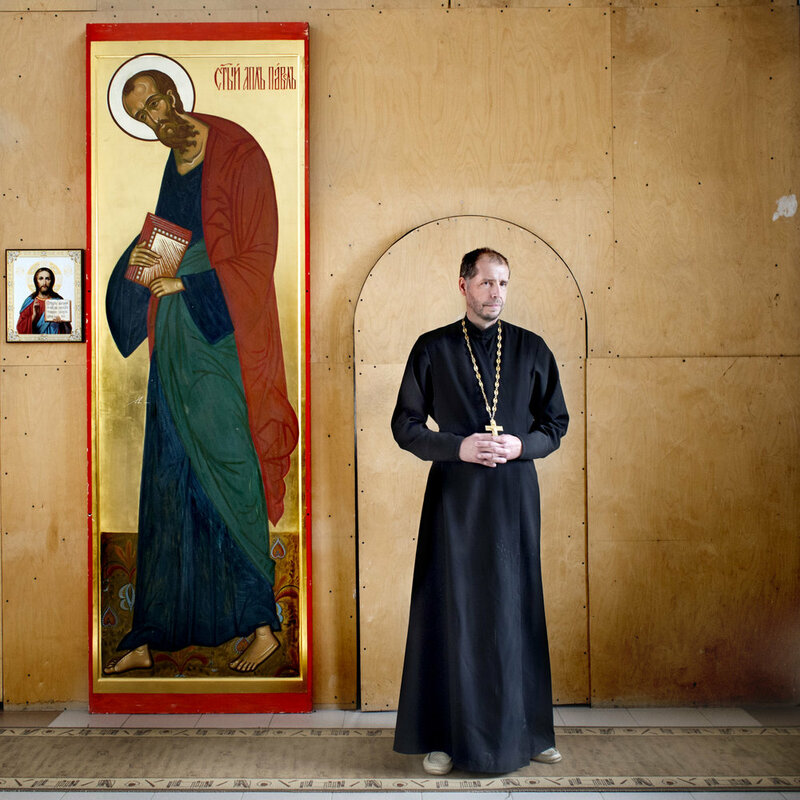 Hegumen Euthymios (Moses), the first vice-rector of the Kazan Orthodox Theological Seminary found himself surpised at the extend of peaceful and friendly relationship between the religions in the region. Coming from Moscow he is used to more scepticism between the groups. 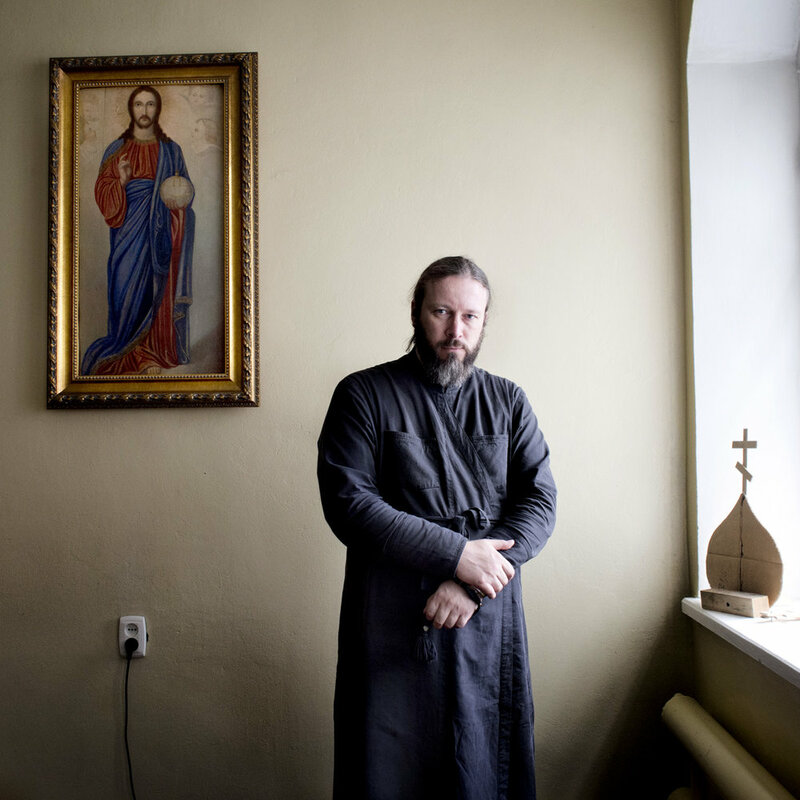 An aspiring priest studying in his room at the priest seminary in Kazan. Cooking for the disciples. Lunch preparations at the priest seminary. Priest students singing a prayer before lunch. When the seminary was in need of transport the local Muslim institute financed their minibus. In recent years girls have been allowed to join the priest seminar and study music and religious teachings. Rumour has it that this move also serves as an opportunity for a priest to meet their future wife. It is only possible to become a priest if married, unless one has special permission not to. “We are friends and neighbours. If you want to ignite conflict, it is always easy to find the spark. But we do everything, so this doesn’t happen, we help each other out, wherever we can." "The madrasa is the happiest and best place in the world. There is no other. Father Fjodor and Asad Gajnutdinow, a local Muslim community leader, at the location of their future building site. The friends are planning to build a mosque and church next to each other in Usady village. Gymansium 36, Tatar lessons at school for Russian and Tatar pupils, who don’t speak Tatar at home. To deepen the sense of equality children are encouraged to speak both languages: Tartar and Russian. Students at Kazan's first madrasa. Elvira, one of the students at the school says: " Only people. who didn't understand their religion would say " my god is better... or that you are not allowed to believe in anything else." 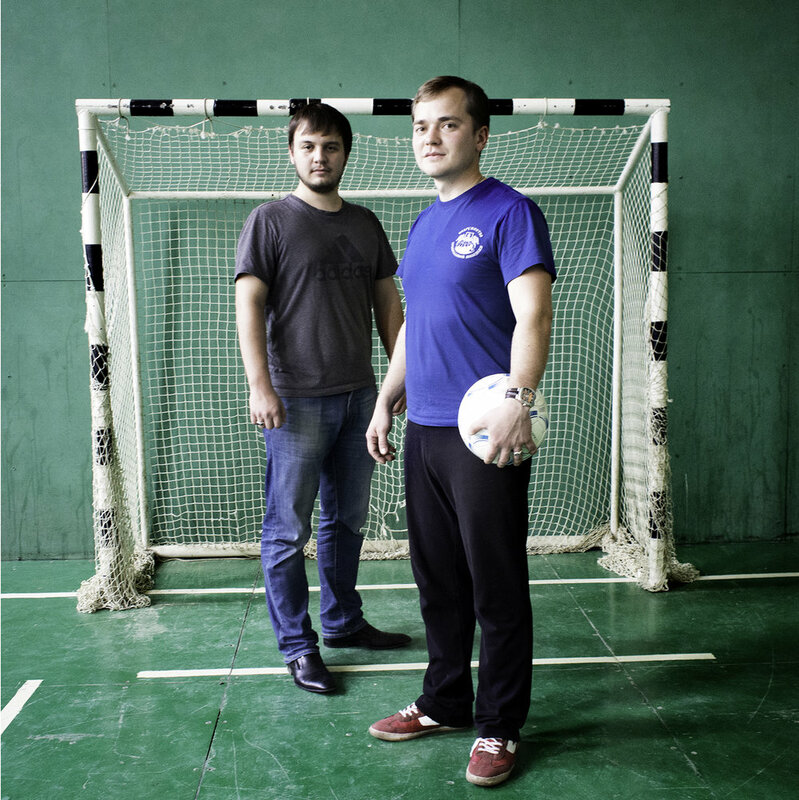 Aynur Achmetschin (Tatar/Muslim) and Artjom Garanin (Russian/Christian) are the heads of the national Muslim and orthodox Christian youth organisationa. They met at a round table meeting.“We organise similar projects and thought why not do them together. This way we can realise them quicker." Aynur and Artjom organised a bike rally against terrorism including also a jewish youth organisation. They planted 70 trees in a park together to set a sign of unity. They organised a quiz show, volleyball and football games. The gatherings were so well frequented and successful that they want to continue to work together. 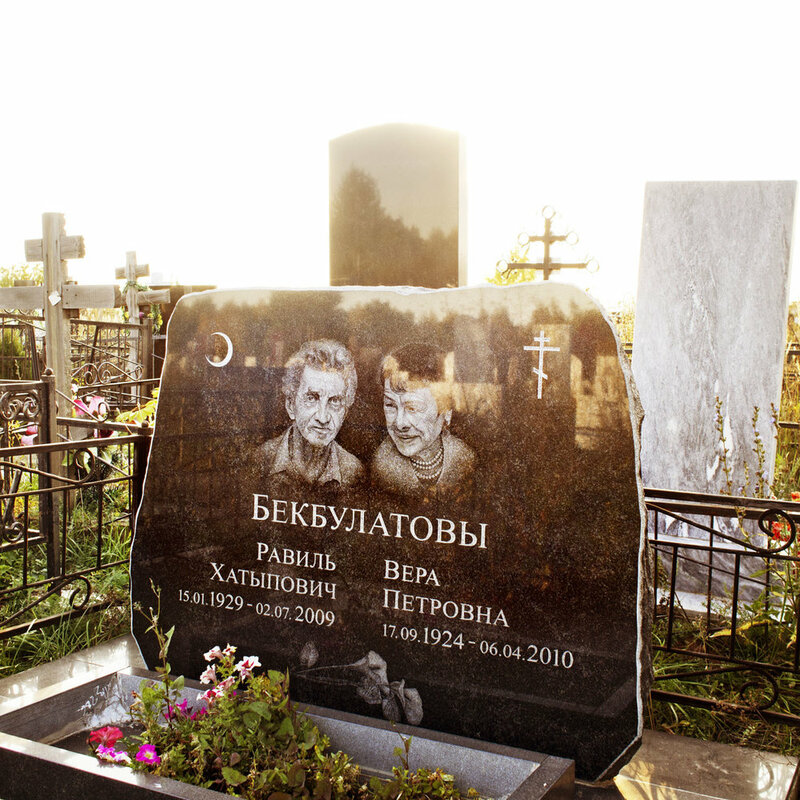 Samosyrodskowo-Cemetery in Kazan: Christians, Muslims and Jews are buried next to and with each other at this cemetery. The Temple Of All Religions built by local artist and philanthropist Ildar Khanov. 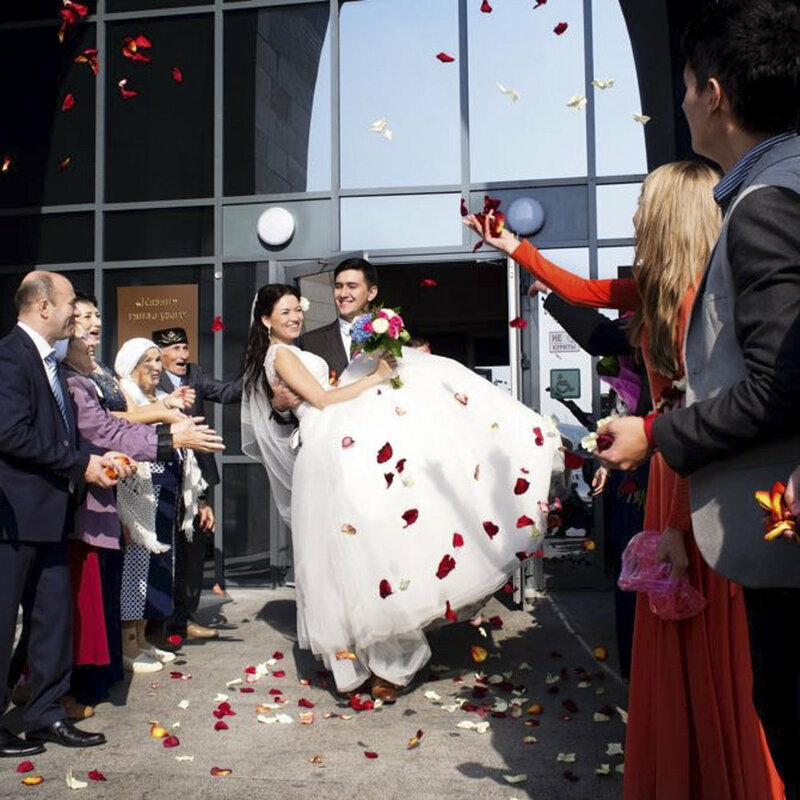 One third of all weddings in Kazan are interfaith ceremonies. Albina is Tatar Muslim and her groom Semjon Russian is Orthodox Christian. Traditional Russian and Tatar food at Albina’s parents house. Prior to the ceremony the wedding parties gather at the brides home. The new registrar office in Kazan (Saks). Wedding parties are processed like on a high speed production line. Elvira (Tatar/Muslim) and Stanislav (Russian/Christian) have been married for 25 years. They have two daughters, Vesta and Diana. Vesta chose the Muslim faith and Diana decided to become a Christian two years ago. Both are married to partners of the same faith. Interfaith wedding of Albina Chasanschina (Tatar/Muslim) und Semjon Makartschikow, (Russian/Christian) Semjon must fulfill several tasks before he is allowed to collect his bride to be. Men cleaning the doorstep between each wedding party.